We’re back once again with new stuff for Zodiac Pop!. This update is for both the App Store and Google Play, so make sure you update your game to access the new content. In this update: A new zone: Capricorn, featuring 25 new levels, a new boost, and new horoscope moods! 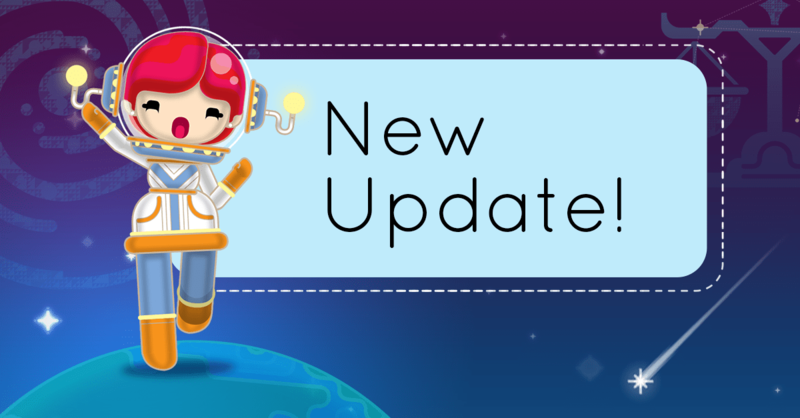 New zone: Capricorn – We’ve added a new zone with 25 additional levels. Each new level poses new challenges to test your skills. New challenges await you at the Capricorn Zone! New boost: 3rd bubble – Wish you had three bubbles in your shooter instead of two? You’re in luck! Use this boost to get through the challenging levels ahead. Horoscope moods – Show your friends how you feel! Choose from four different moods when sharing your horoscope. Choose from 4 different moods. One for each jelly pal! Difficulty adjustments – As always, we’re adjusting the game’s difficulty based on your feedback. Your thoughts really guide us to improve the game on every update. Thanks guys! Zodiac Pop! Is getting better with each update and we owe it all to you guys! Every comment helps shape our updates, so please keep them coming. Until next time, jelly pals, keep on poppin’!